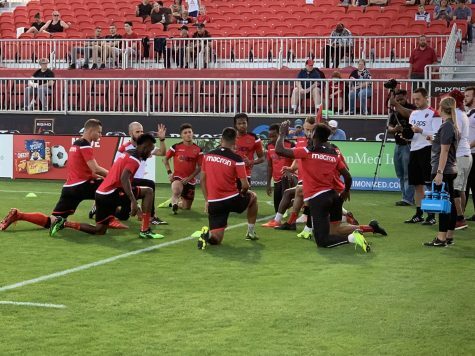 Phoenix Rising FC took the pitch at University of Louisville’s Lynn Stadium for the 2018 USL Cup Final against defending champions Louisville City FC in what would be Rising captain and player-owner Didier Drogba’s final match. 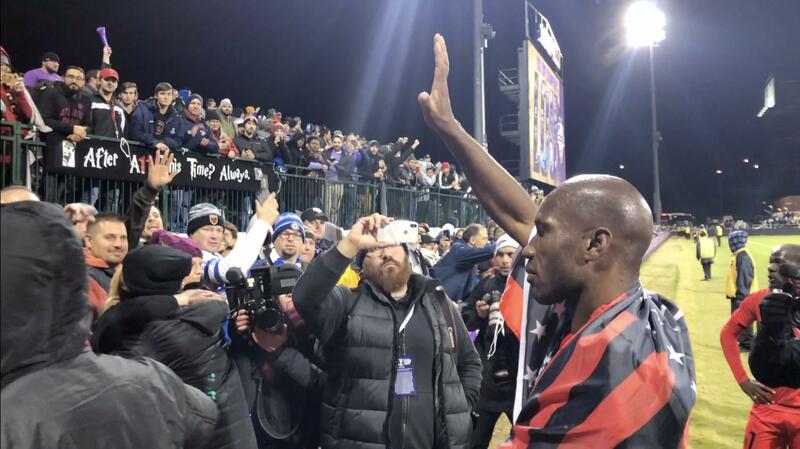 Unfortunately for one of the all-time great forwards, the farewell did not have the optimal ending, as the Rising lost to Lou City 1-0. 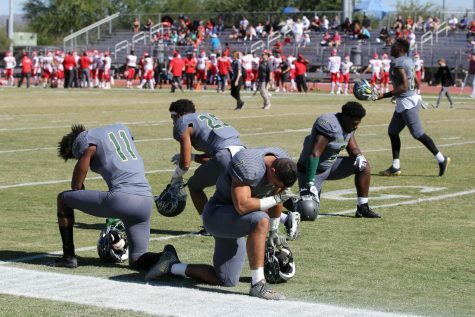 The 43-degree temperature at kickoff caused problems for the officials, as the match ball had to be switched out multiple times due to a lack of air. 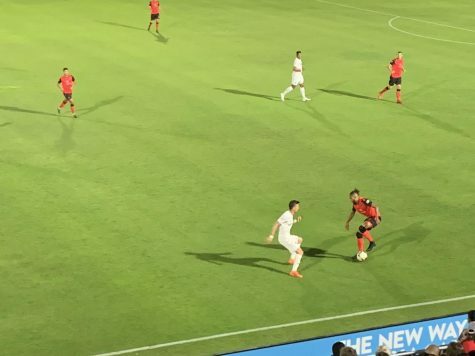 In the 15th minute, Louisville midfielder Ilija Ilic had the first real scoring opportunity of the game when his 20-yard free kick was hit low and around the wall, but the shot went wide as it hit the side netting. In the 24th minute, Rising forward Jason Johnson hit a low driven shot with his left foot from just outside the box that deflected off of Lou City defender Paco Craig, but Lou City goalkeeper Greg Ranjitsingh was able to make the off balance save to keep the game level at 0-0. In the 38th minute, Drogba had a hit from the top of the box, but his strike sailed over the crossbar, keeping the game scoreless as halftime approached. Five minutes in the first half, Lou City forward Brian Ownby took advantage of Rising defender Saad Abdul-Salaam’s missed header inside the box, but Ownby’s strike was blasted high and wide, keeping the score-line tied at 0-0. In the 62nd minute, a Louisville corner resulted in a series of headers inside the box that eventually saw the ball fall to the feet of Lou City forward Luke Spencer who rifled it into the back of the net from point blank range to give his side a 1-0 lead. “This is the way cup finals go: you give up a goal on a set piece then you have to chase it and against a good team like this it’s very difficult,” Schantz said. In the 75th minute, Rising vice-captain Soloman Asante whipped in a cross for forward Jason Johnson, but his header toward goal was off target, keeping his team’s deficit at 1-0. Two minutes later, Abdul-Salaam whipped in a cross of his own for Rising forward Billy Forbes, but he was unable to tie up the game for his team, as his shot was blasted over the crossbar. As the final whistle blew, Louisville’s crowd, who created an absolute electric atmosphere all match long, erupted as their team became the first back-to-back champions in USL history.